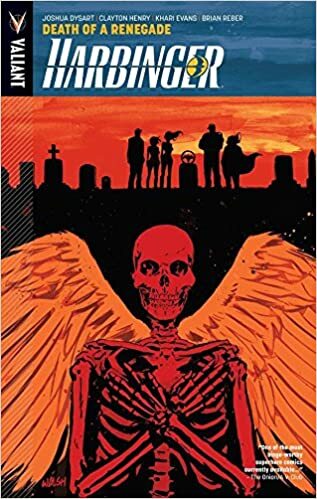 Lenni Reviews: “Harbinger” vol 5 by Joshua Dysart, Clayton Henry, Khari Evans, Brian Reber. Harada did not only survive, he’s been outed as a superhuman and the Renegades are laying low fearing retaliation from him. The plan the Renegades are hatching in the meantime is to blow the lid off every secret Harada has been covering up resulting in an all out assault on Harada’s stronghold and a one on one showdown between Harada and Peter. At the height of the story, it pulls no punches and ends up being as epic as it is sad. I don’t want to give away any spoilers so I’m gonna just sum up by saying wow… Absolutely amazing.